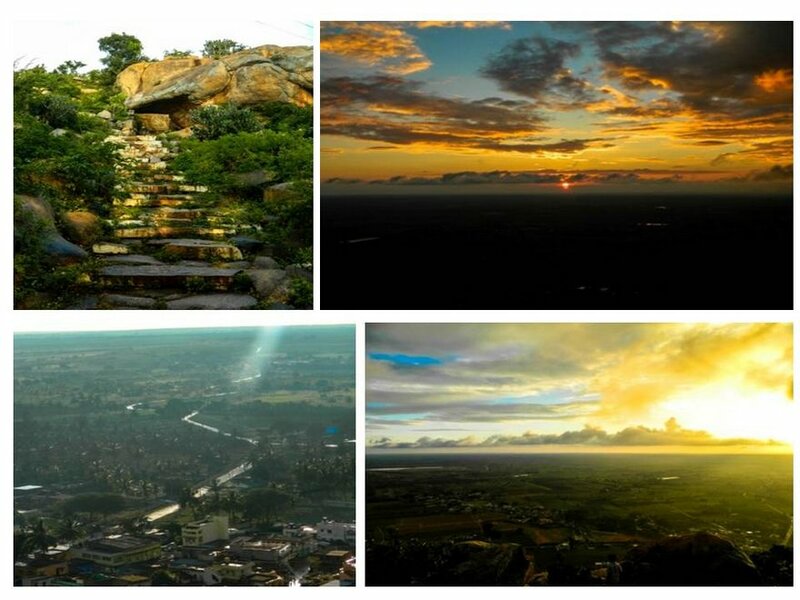 Kaiwara, a historic town in the Kolar District of Karnataka State was known as Kaiwara Nadu in the bygone ages. It was ruled by Nikirili Chola Mandala during the Chola era. However Kaiwara existed right from the Satya-yuga and has been a holy city and a pilgrim center since then. Kaiwara literally means glorifying the Supreme Lord with prayers and hymns. In this regard, the sixth canto of Bhagavata Purana narrates an interesting incident from Satya-yuga. Once Indra, the King of heaven was sitting with His wife Sachidevi and was being praised by the other demigods. At that moment, his spiritual master Brihaspati arrived. Being too engrossed in the material opulence, Indra did not notice the presence of his spiritual master and forgot to offer him respects. This offended Brihaspati who decided to teach Indra a lesson and immediately vanished from the assembly. Indra started to repent his behavior and immediately left to search Brihaspati for begging forgiveness and could not find him anywhere. Because of offending his spiritual master, Indra was defeated by the demons in a great war and lost all his opulence. Thus Indra and the other demigods approached Lord Brahma for shelter. Lord Brahma understood the entire situation and chastised the demigods for offending their spiritual master. Brahma then ordered demigods to accept Vishwarupa, the son of Twashta as their priest. They then performed a fire sacrifice under the priesthood of Vishwarupa. Vishwarupa then taught Indra, the Narayana-kavacha mantra by which Indra won over the demons and started enjoying the opulence of the three worlds. Vishwarupa was affectionate towards the demons, so He would supply them the remnants of yajna (prasadam). When Indra learnt about this, he immediately beheaded Vishwarupa. Vishwarupa was a brahmana and thus Indra acquired the sin of killing a brahmana. Although he was competent enough to nullify this sinful reaction, he did not do so but distributed it amongst the land, trees, water and women. The land accepted one-fourth of Indra’s sin, thus a portion of land got converted into a desert. Trees drip sap due to accepting another one-fourth portion; sap is unfit for drinking. Women are untouchables during their menstrual period because of their acceptance of the one-fourth of the sinful reactions of Indra. Since water was infested with the sinful reactions of Indra, water with bubbles cannot be used for any purpose. After Vishwarupa was killed, his father performed a yajna to kill Indra. While performing the sacrifice, Twashta chanted a mantra to increase Indra’s enemies. However he chanted the mantra wrong which meant demon whose enemy is Indra. Immediately from the yajna-kunda a fierce demon arose. Demigods were powerless in front of this demon. Seeing no other way, they worshiped Lord Vishnu to help. Being pleased by the demigods, the Lord advised them to approach Dadhichi Muni to beg the bones of his body. With the help of these bones, Vishwakarma made a thunderbolt which was invested by the power of the Supreme Lord. With this thunderbolt Vritrasura could be killed. At the end of Satya-yuga and the beginning of Treta-yuga, a great war took place between the demigods and the demons. Unable to tolerate the power of demigods, all the demons fled away from the battle, leaving their commander-in-chief Vritrasura to fight alone. Seeing the demons flee, Vritrasura advised them the importance of fighting and dying on a battlefield. His advice did not stop them and fight. And he stood alone in front of the demigods. Soon Vritrasura began trampling them down. Unable to withstand it, Indra threw his club at Vritrasura. Vristrasura was such a hero, that he caught the club with his left hand and used it to beat Airavata, Indra’s elephant. Struck by the blow of Vritrasura, Airavata fell with Indra on his back. Vritrasura was a great devotee of Lord Vishnu. He reminded Indra of his heinous activity of killing Vishwarupa due to enviousness. He also spoke to Indra about how the Supreme Lord favors his devotee by not awarding him the opulence but the bhakti or devotional service. After speaking this, Vritrasura attacked Indra with his trident, but Indra broke it into pieces using his thunderbolt and cut off Vritrasura’s arm. This did not stop Vritrasura. He re-attacked Indra with his iron mace, making the thunderbolt fall from his hand. This ashamed Indra, who did not pick up the weapon from the ground, but Vritrasura encouraged him to pick it up and fight. Vritrasura and Indra not only fought but also engaged in philosophical discussion during their fight. Both of them were great fighters and equally powerful. Indra picked up his weapon and fought with Vritrasura with all his power. This time he severed his other arm. Vritrasura then grew in size and swallowed Indra with Airavata. Indra was being protected by Narayana-kavacha and did not die in his belly. He pierced his abdomen and emerged out. He then severed the head of Vritrasura from the body with his thunderbolt. It took one complete year for Indra to cut the head of Vritrasura. After his death, Vritrasura achieved liberation. He returned to the spiritual sky to become the associate of Lord Sankarshana. Since Vritrasura was a devotee of the Lord, Indra was again afflicted with sin. To nullify this sinful reaction, he installed the Deities of Sri Amara Narayana and His consorts Sridevi and Bhudevi and worshiped them. Demigods then sang the prayers to glorify the Supreme Lord. Since then this place is called as Kaiwara. Yamuna descended to Kaiwara in order to serve the Lord. She flows as Guptagamini River here. The river is no more visible. Actually Indra installed Deities of Lord Narayana in five places – Sri Amara Narayana in Kaiwara, Sri Narayana in Budigere, Sri Veera Narayana in Yadokodi, Sri Adi Narayana in Yallodi and Sri Lakshmi Narayana in Gadag. These Deities were installed at the same muhurta in the temples. However Indra personally installed the Deity of Lord Narayana in Kaiwara and therefore the Lord was named as Sri Amara Narayana. Amara is another name of Indra. 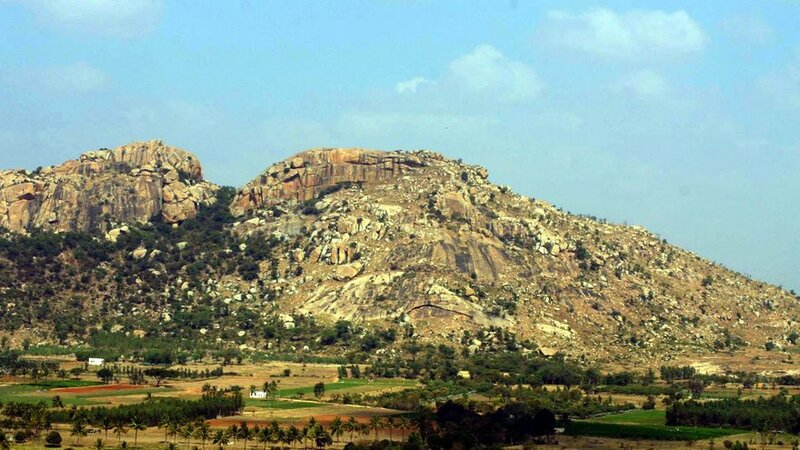 According to the local legends, Lord Ramachandra visited Kaiwara twice. Once with Vishwamitra when He was on a mission to protect the yajnas being performed by the rishis and the second time with Mother Sita and Lakshmana during Their exile. There is a cave known as Ramara Guhe in the temple of Amara Narayana. It is believed that Lord Rama stayed in this cave. There is a temple of Veeranjaneya on the outskirts of Kaiwara. On a nearby hill, Lakshmana shot an arrow in order to get water to quench the thirst of Mother Sita. A small lake is formed at this place which is known as Lakshmana Tirtha. 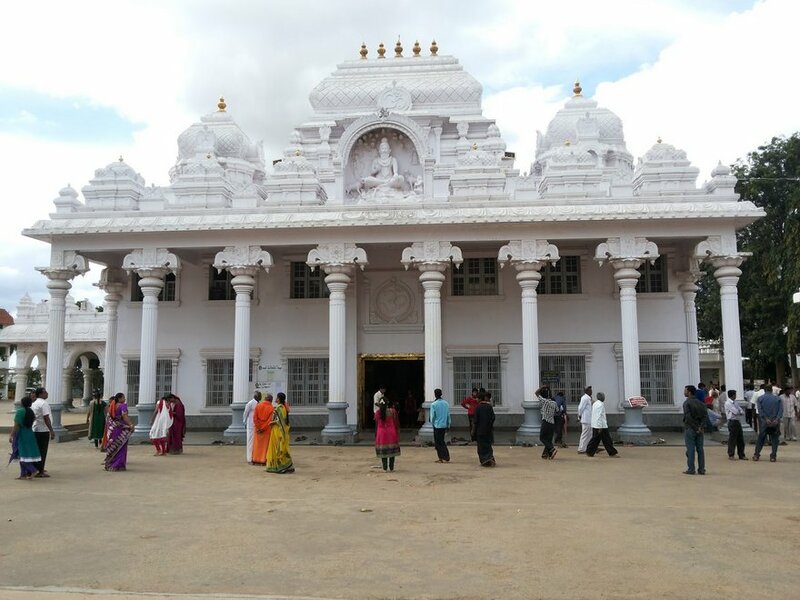 Next to Lakshmana Tirtha is the temple of Goddess Chamundeshwari. After killing the demon Mahishasura, mother Chamundeshwari visited this tirtha, took bath in its holy waters and assumed a peaceful form. It is also believed that other forms of Durga Devi known as Grama Devis, visited this place and took a holy dip in this tirtha. In Dwapara-yuga, Kaiwara was known as Ekachakrapura and was dwelling of Pandavas during their exile. Pandavas lived here as poor brahmanas in incognito. Kaiwara’s citizens were being constantly harassed and harmed by a demon named Bakasura. Kunti Devi requested Bhima to put an end to this menace. Bhima fought and slew Bakasura. Bakasura was a devotee of Lord Shiva. In order to counteract the sinful reaction of killing Bakasura, Bhima was advised to install a shiva-linga and worship. The shiva-linga which was installed by Bhima is famous as Sri Bhima Lingeshwara. Surrounding the Bhima Lingeshwara, other four Pandavas also installed lingas and worshiped them. They are called as Dharmalingeshwara, Parthalingeswara, Nakuleshwara and Sahadevalingeshwara. 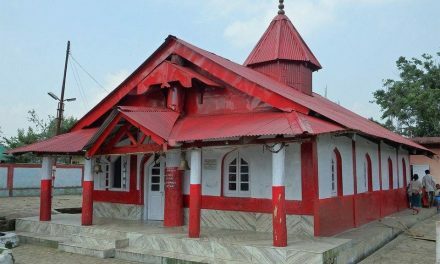 A temple dedicated to Parvati, the consort of Lord Shiva is also nearby. Hence Kaiwara became famous as Pancha-linga Kshetra. In the current days, Kaiwara is famous for Sri Yogi Naraeyana Yathindra popularly known as Kaiwara Thataiyya. Thataiyya lived between 1726 and 1836 and was a bilingual devotee poet of Lord Amara Narayana. He wrote in Telugu and Kannada languages. His most popular literary contribution is Kalajnana, a prophetic text. His other works include Tattva Kirtanas, Sri Krishna Charitha Tattvamitra Yogasara and a half dozen shataka verses. He has also composed eighteen kirtanas in kannada language and are considered on par with the kirtanas of Purandaradasa and Kanakadasa. The Yogi Naraeyana Ashrama at Kaiwara is now carrying forward the legacy of Kaiwara Thataiyya by promoting the kirtanas and performing various social activities. Amara Narayana Temple: The temple of Sri Amara Narayana is near the bus stand. It is a very beautiful temple. The pillars in the mukha-mantapa are intricately carved and are rich with architecture. This temple doesn’t have the Deities of Jaya and Vijaya unlike the other Vishnu temples. Perhaps this is the only temple not to have the dwara-palakas. This is because the temple of Lord Amara Narayana was established by Indra at the beginning of Treta-yuga. At that time Jaya and Vijaya were away from Vaikuntha due to the curse of four kumaras. GREAT READING ABOUT HINDU ANCIENT STORIES SCRIPTURES AND WISDOM. The information published is very good. Please keep it up. My Best Wishes.. Very good Religious matter/information. vert ancient information shared which today no one knowing.i request is to please give details in Local or at least in Hindi language for better understanding of some difficult words.